We are Ethiopians from different ethnic background living in New Jersey and New York area. While we all celebrate our diversity and ethnic identities we are all proud to say we are Ethiopians first. As we are writing you this letter we strongly believe our country is at a critical path in its history. We also believe that all Ethiopians have individual responsibility to voice their concern and participate in the political process more than any time in the past. Despite severe suppression, the recent up rise of Ethiopians in Oromo and Amhara region have demonstrated their bravery and there thirst for democracy. The stunning reality for the brutal dictatorial regime was the demonstration of mutual love and unity of the people of Ethiopia despite their ethnic background. It is not secret that for more than twenty years TPLF has worked hard to make the two ethnic groups (Amhara and Oromo) enemies. The strong desire by the sick regime to make the two ethnic groups fight each other instead of challenging it did not work well. 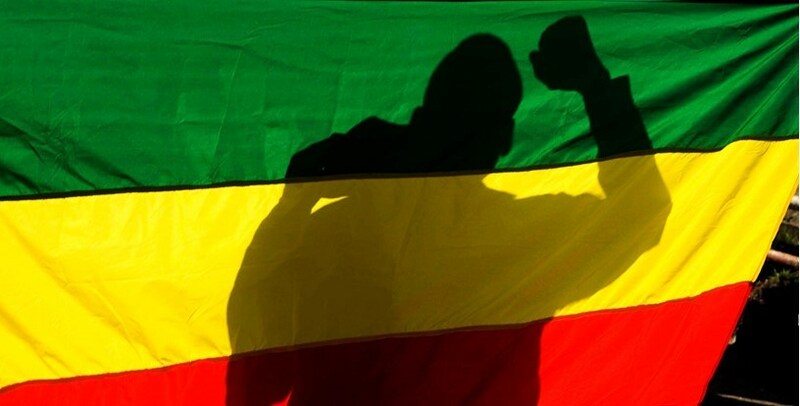 Ethiopian youth has demonstrated a high level maturity, selflessness and the strong desire to stand shoulder to shoulder in the struggle for freedom. To its dismay TPLF has witnessed the bond between Ethiopians is greater and the feeling for liberty and democratization of the country is mutual. For Ethiopians living far away from our homeland, that was a moment to celebrate and admire the tenacity of our compatriots. That solidarity also came with big price as people who are expressing their displeasure to the current regime and their unity to each other became targets of merciless killings, tortures and disappearances. We all know people have paid the price in an unthinkable ways in blood and treasure. People all over the country have lost their sons, daughters, fathers, mothers, businesses and livelihoods. While admiring the bravery of our Ethiopian brothers and sisters we also are deeply saddened by the brutal response by a brutal government. While these are some of the facts on the ground we will also like to remind you Ethiopia as any other country in the world has no perfect history. Our history of thousands of years is a history full of fighting and hardship. Fighting has taken place between various powers for control of land and people from the North to the South from East to West. History teaches us that in all cases while few people have always been beneficiaries of a system, most Ethiopians have lived under poverty and share similar stories of hardship. It is also true some ethnic groups have been mistreated more than others. As there are close to eighty ethnic groups in our country we also believe in the fact that some ethnic groups have been taken advantage of and not been represented adequately in any of the political process. Acknowledging there are a lot of issues to be resolved by all Ethiopians via dialogue and civil discourse in a democratic Ethiopia we also believe our unity is our strength and that should not be questioned by any political opposition. We never believed our unity to be a problem. However we all want a democratic Ethiopia that respects the rights of all individuals despite their ethnic origin. We want an Ethiopia where everyone gets treated fairly without screen of ethnic identity or association to power or wealth. Ethiopia should be equal for all Ethiopians. As one of the few countries that fought and defeated a well-armed colonial power to keep its freedom, we believe Ethiopia should lead by example and encourage the unification and mutual collaborations of African nations and should never be considered as a subject of experimentation for narcissistic, shortsighted, irresponsible, hatred filled and dangerous power mongers. We believe the idea of dividing Ethiopia into pieces is an idea from TPLF, meant to weaken any opposition and eventually separate Tigray from Ethiopia. This is a sick idea by a sitting government. Anyone or group that hopes and struggles for a better future for our people should know that this is a deadly plan equivalent to geopolitical, social and economic suicide for Ethiopia and Ethiopians. As a political party leader we respectfully ask you to pay close attention to and study recent happenings in the world. Ethnically and religiously divided places have become death beds for young and old resulting in complete destruction of life, country and family as we know it. Unfortunately these scenarios have already happened in Rwanda, failed state of neighboring Somalia, parts of neighboring Sudan, Yugoslavia and Syria. As Ethiopians we are deeply concerned about the recent rhetoric from Leaders of some opposition parties on breaking Ethiopia apart. Based on above mentioned facts we do believe the intentions of these leaders are same as the intentions of TPLF and as we are against TPLF for reasons including the ones we listed early on we would like to condemn in the strongest terms possible, the leaders who claim to represent our Oromo brothers and sisters and preach division instead of unity. We believe these leaders are same as TPLF and they are in the opposition business as power mongers and they do not represent the view of majority of Oromo’s. As an opposition leader we also ask you to be responsible and sensible to people’s lives, the struggle and the price people are paying for freedom in the frontline. We ask you to stop preaching divisive rhetoric and stand with majority of Ethiopians. We ask you not to be a weapon for the current brutal regime during these critical times. If the sole purpose of your being in the opposition politics is to divide and rule we ask you to drop your opposition hat and join TPLF, as we believe divide and rule is the motto of TPLF that is completely rejected by Ethiopians. We plead to you to work with and join other political leaders, parties, associations and individuals that support unity and the struggle for Liberty of Ethiopians as soon as possible. This is a moment to show true leadership and we ask you to stand up and demonstrate your patriotism to the country and its people.